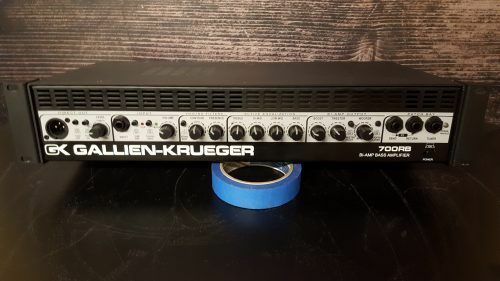 Gallien Krueger GK 700RB Bi-Amp Bass Head in very good condition. 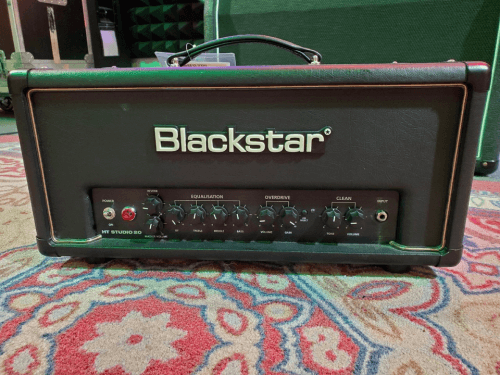 This is a tried-and-true warhorse of a bass amp. 380 watts into 4ohms. This one has been well-maintained. Comes with rack ears. 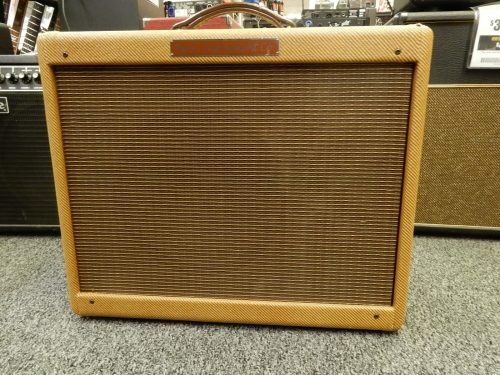 This tube guitar combo amp is in great condition and fully operational. This is the HT Studio 20H from Blackstar. 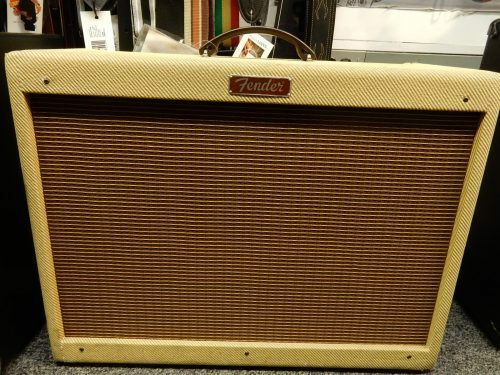 the amp is in good shape, very light scratches and no tolex tears. FENDER BLUES DELUXE COMBO W/COVER This is a Fender Blues Deluxe combo amplifier with cover. It is in good condition and is 100% functional. It will ship out with footswitch and the original Fender slip cover. 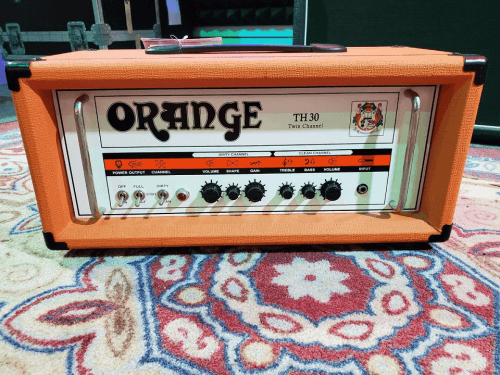 This is the TH30H by Orange. 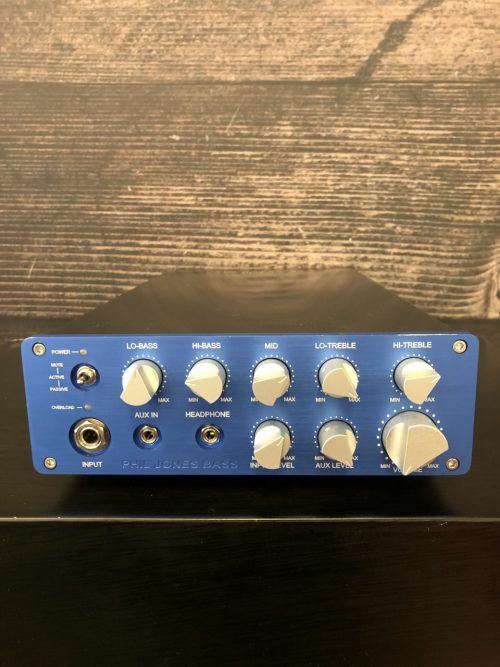 It is a 30 watt 2 channel head that features an amazing gain stage perfect for blues all they way to metal, and a crystal clean clear channel that takes pedals perfectly. The amp is in good shape, minor scratches, no tears in the tolex, and the tubes have been checked. All the knobs are smooth and everything is fully functional. 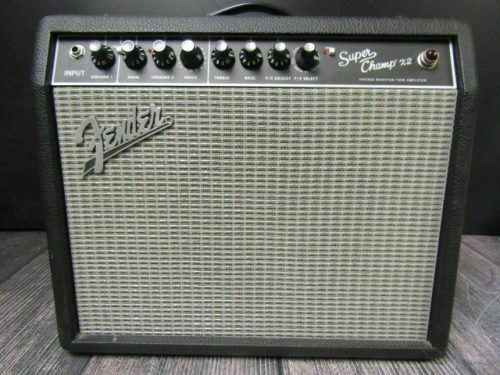 This Fender Super Champ X2 is in good condition. It shows only minimal signs of wear. The X2 is a perfect small combo amp for home practice, recording and small gigs. 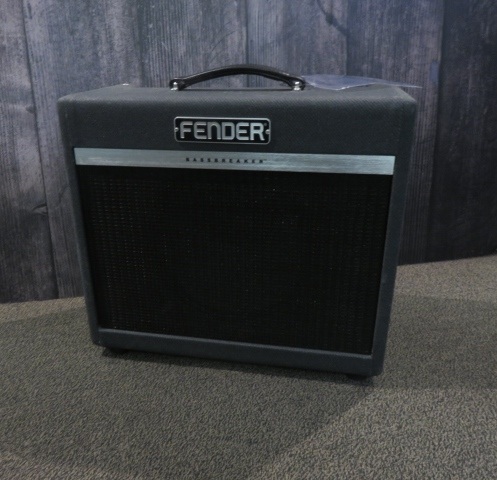 The amp comes with many tones from classic fender clean to a crunchy or bluesy overdrive. The amp also has built in effects. Cool amp to have and play through! 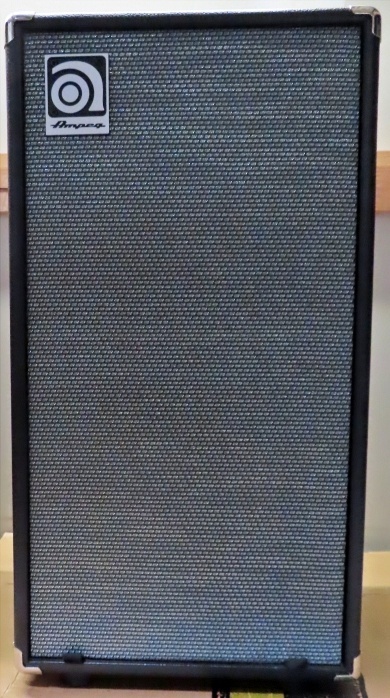 This Ampeg PF350 is in good working condition. The face looks good but the unit has scratches from regular use (see pictures). This is a nice pro level bass head with a warm, clear, punchy sound good for gigs or studio work. Small and lightweight just got more powerful with the introduction of PJB’s BP-800 bass amplifier. The BP-800 is a high-power, high-performance, no-compromise compact amplifier that delivers the most bass for the buck. The BP800 features a Class A preamp with the popular PJB 5-band EQ. 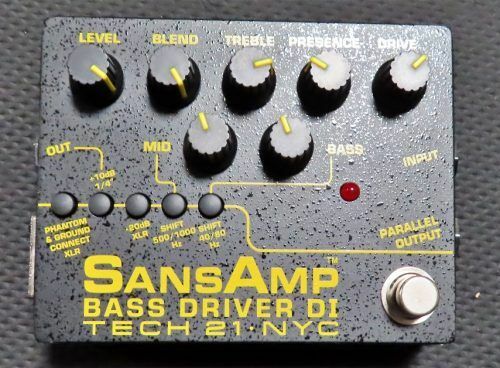 Tech 21 - Bass Driver D.I. The pedal that defined the bass pre-amp. Updated for the low end growl of 5 & 6 string basses. All you need to get to the gig! In great condition with original tin box. 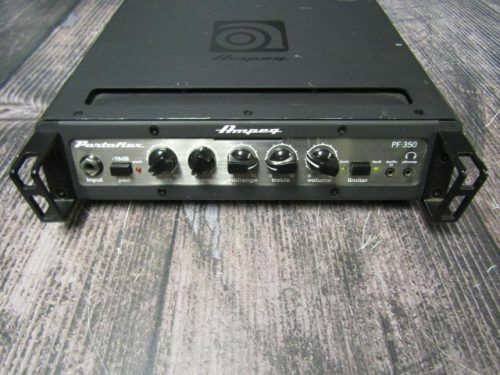 The Ampeg SVT210AV is the portable alternative to a full sized SVT cab. 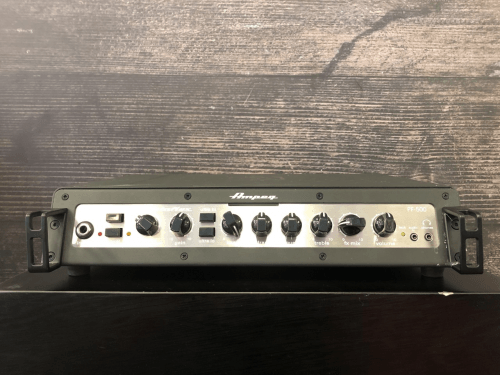 Ideal for bleed-sensitive recording situations where the SVT810-AV can be too loud and live situations where it can be too large, the SVT210AV is designed using Ampeg's legendary Infinite Baffle ™ system for maximum speaker efficiency and true Ampeg tone. In great condition.